A fascinating view from above! 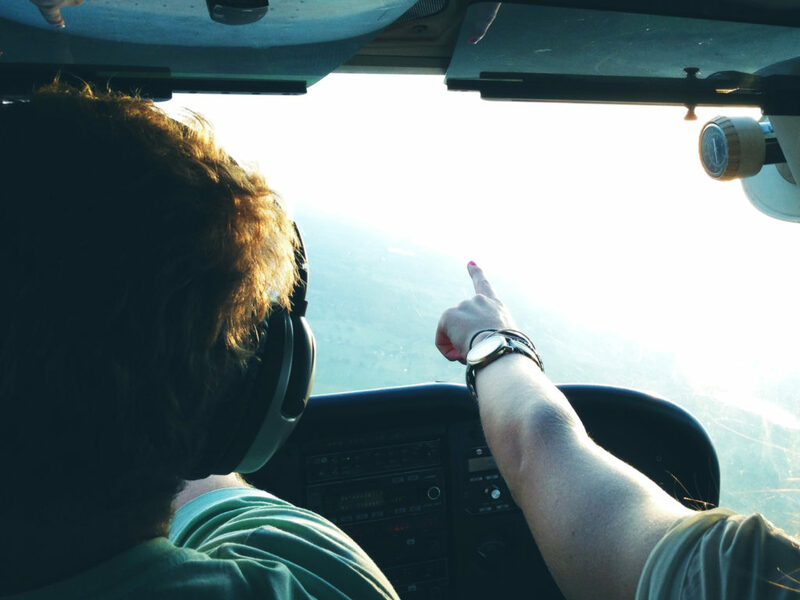 There are many ways to see Charente from the sky. Here are some tips for taking to the skies and admiring its most beautiful picture-postcard locations. 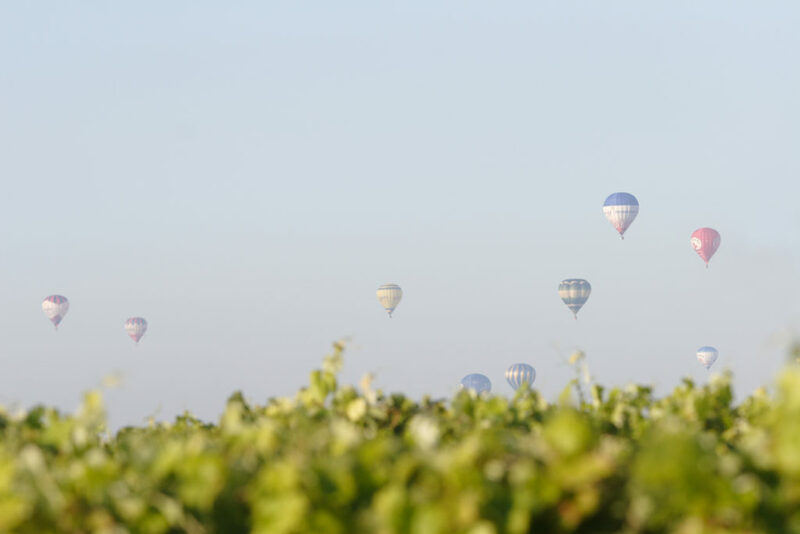 There’s a good reason why Charente welcomes the Hot Air Balloon European Cup every two years. From the archipelagos of the Gironde estuary to the Poitevin marshlands and vineyards, Charente from the sky has a lot to offer. On board your flying viewing platform, you’ll discover unsuspected beauty in total tranquillity. Why not start in the town of Cognac, bastion of the Department of Charente? The heritage of this historic town is shaped by the incredible story of its famous brandy. You’ll then fly over the Charente river with its hidden banks and the enormous rolling vineyard, which looks like a drawing, before seeing the town at your feet, including its port, where barges would be loaded with barrels of cognac. From your basket, you’ll catch sight of the fantastic private houses, courtyards and secret gardens that are undetectable from the ground. History buffs will be thrilled as they fly over Porte Saint-Jacques (ruined former ramparts), as well as the majestic Château des Valois, birthplace of Francis I in 1494. On your arrival, don’t forget to visit one of the big trading houses, which will welcome you and tell you the secrets of their cognac, before introducing you to the art of tasting it. Nature lovers can choose to fly over the verdant, aquatic setting of the Poitevin marshlands. With their sublime colour palette, the marshlands, nicknamed “Green Venice”, are particularly fascinating from the sky. It’s a true voyage of discovery high above a lush green maze. During your trip, you’ll note the changes to the landscape, from lush vegetation to the dried marshlands and their cereal crops, and on to the Bay of Aiguillon, home to hundreds of species of animals. From cranes to bar-headed geese, whooper swans, sacred ibis and Poitou goats, there is an exceptional range of fauna there. What are you waiting for? Choose the hot air balloon flight that’s perfect for you. 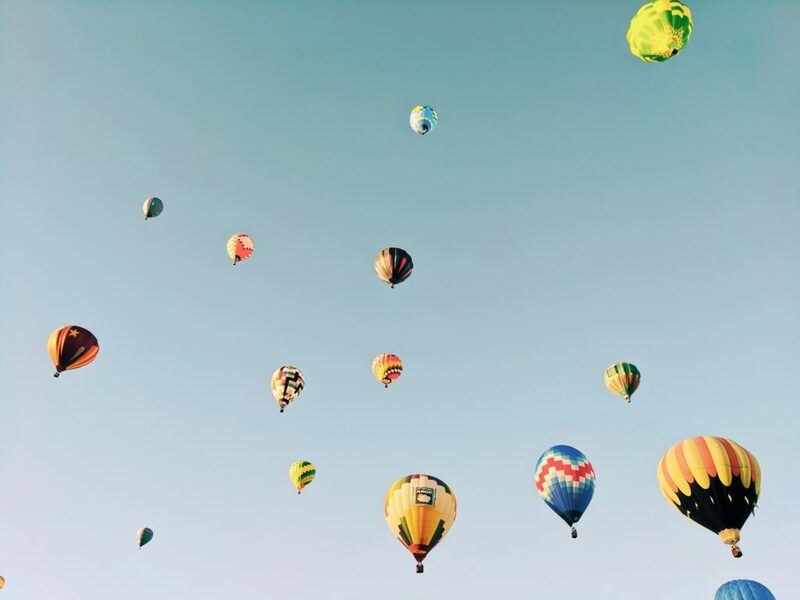 For a list of hot air balloon providers, click here. Twenty-seven years ago, Rêve d’Icare was created to give the general public a taste of aviation sports and occupations. The festival takes place each June and includes many leisure activities and workshops for all ages (including exhibitions, kite demonstrations and boomerang throwing). The event takes place on Grande Conche Beach in Royan, an excellent playing field stretching over 2,650 metres of fine sand. Among its different activities, Rêve d’Icare offers beginners their first hot air balloon flight over the town of Royan. The town is the capital of the Côte de Beauté in Charente-Maritime and has been crowned an official “Town of Art and History”. From the safety of your wicker basket, you’ll fly over Sablonceaux Abbey and its church, which has been designated a Historic Monument, as well as the beaches of Saint-Georges in Didonne and Saint-Palais. During your trip, keep your eyes peeled for the great view over the Charente-Maritime coast. You’ll pass over Cordouan Lighthouse as well as Ile d’Oléron and its mosaic of oyster basins, glittering in a million different shades. Without a doubt, a hot air balloon flight over Charente-Maritime is an opportunity not to be missed. Parachuting is for thrill seekers. There’s nothing like it for getting your adrenaline going while looking down at breath-taking scenery. There are many companies offering the chance to explore Charente from the sky and see the magnificent scenery of Île de Ré, Île d’Oléron and La Rochelle (while passing over Fort Boyard). You’ll jump from 3,300 metres up, with 30 seconds of freefall! You can even choose to land on Île d’Oléron and take home a souvenir video of this unforgettable experience. Novices can rest assured, the tandem jump gives you all of the sensation without having to master the finer details of freefalling. The seaside resort of Châtelaillon-Plage is certainly alluring, with its long sandy beach, its seafront lined with tamarisk and its belle-époque villas. In addition to the many water sports and walks that can be done there, there’s a more unique way of exploring the resort and its surroundings: visit the tourist office to book a helicopter flight. 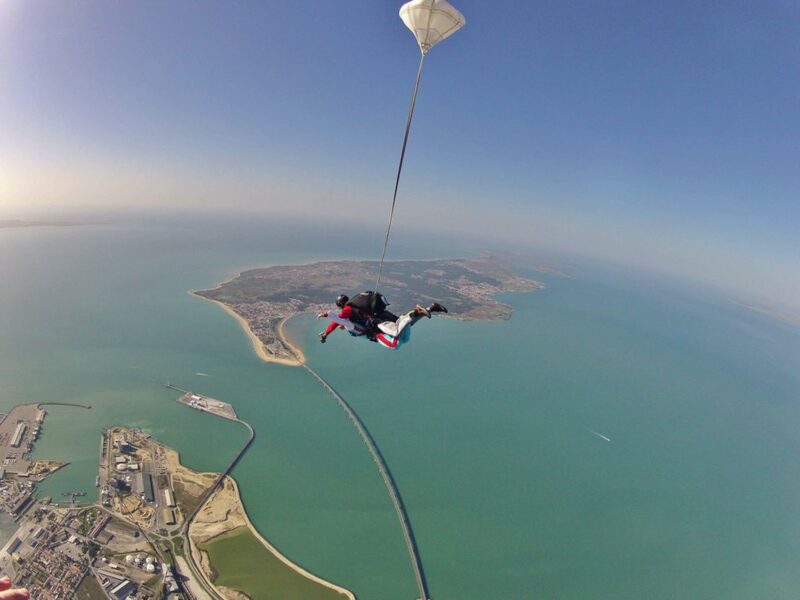 If you want to, you can take your first flight with a short trip above the beach from Pointe du Chay to the marina, or extend the enjoyment by flying over Fort Boyard and Ile d’Aix. The ocean unfolds endlessly before you. Dying to see Charente from the sky? What are you waiting for? Take to the skies and admire the sublime heritage that the region has to offer. There’s no doubt, it’s even better when seen from above!